The Lucky Angler slot machine game features 15 pay lines across 5 reels and is a different style of online slot machine in comparison to others! Our Jimi Hendrix slot review here will explain the details of the slot game which you can play right here at AceLuckyCasino.com. Please find below some of our most popular online slots games here at Ace Lucky Casino. These online slots games are from NetEnt who provide some of the best online casino and online slot games on the internet. We hope that you enjoy our online slots reviews here and if you want to play any of the online slot games here please simply register your details and make your first deposit. Upon your first deposit you can claim a 100% online slots welcome bonus of up of $200, €200 or £200 to get yourself a bunch of free online slots spins on the house*. This Jimi Hendrix online slots game is a superb release from NetEnt and includes 20 bet lines across 5 reels, in game features and 4 different bonus rounds to trigger during play! This hugely popular, highly rated online slot game is a must play and you can join Ace Lucky Casino and claim a fantastic welcome bonus offer to get yourself some free spins with now! Koi Princess slot is a game which has 20 pay lines across 5 reels and a variety of incredible in game features which make this an exciting slot game play all round. Join AceLuckyCasino.com today and experience the fun to be had with the spin of the reels with this top rated, hugely popular game now! Lucky Angler slot is a game which features 15 pay lines across 5 reels and includes some fantastic in game features to enjoy. Spin the reels of this highly popular slot game today here at AceLuckyCasino.com and become a member at the best new online casino site now! The Magic Portals slot game has 25 paylines across 5 reels, in game wolds and excellent bonus feature to play with this highly rated, entertaining slot. Join us here at AceLuckyCasino.com and claim a free deposit bonus as a welcome to the site and try your luck with the spin of the reels now to see just what you can win with this recommended game now! The Motorhead online slots and mobile slots game has 76 bet lines across 5 reels and includes in game wilds, reel spin bonuses and a fantastic free spins feature to trigger! Experience all of what this fantastic slot game offers by joining us here at AceLuckyCasino.com today and try your luck with your spin of the reels now! The Mythic Maiden slot has 5 reels and 30 pay lines, in game wilds, scatters and bonus round to trigger which makes for an exciting play all round. Experience the fun and excitement of Mythic Maiden slot here at AceLuckyCasino.com and claim your free bonus money to add extra funds to your account to spin the reels with now! Neon Staxx is an online slots and mobile slots game which has 40 pay lines across 5 reels, in game wilds, scatters and a fantastic free spins bonus feature to trigger during play! Join us here at AceLuckyCasino.com and try your luck with the spin of the reels with the highly rated Neon Staxx online slot machine now! Our NRVNA online slots game has 1-30 pay lines across 5 reels, in game wilds, scatters and bonus round of free spins to activate during play. Enjoy the fun and excitement of this NRVNA slot right here at AceLuckyCasino.com and spin the reels to see what your luck brings today! The Piggy Riches online slot is highly popular NetEnt online slots game to play and includes 15 pay lines over 5 reels, in game wilds, scatters and a fantastic free spins bonus round. Try your luck right here at AceLuckyCasino.com now with the spin of the reels and get started by claiming your casino welcome bonus now! Play our Pyramid Quest For Immortality online slots machine and experience a different style of slots game that features 720 bet ways over 5 reels and includes an in game multiplier for the chance to win bigger! Join Ace LuckyCasino.com now and enjoy the best variety of the best new slot games to play online and mobile today! Secrets of Atlantis slot is a game which includes 20 pay lines across 5 reels and in game features that makes it a different style of slot to play. Enjoy and experience all of the fun of Secrets of Atlantis slots game here at Ace Lucky Casino.com and claim a brilliant welcome deposit bonus offer to get spinning the reels of this great game with today! South Park Reel Chaos is a truly exciting game to play with 20 pay lines across 5 reels, many in game features to trigger and a bonus round, it’s one of the most popular slots to play. Join us here at Ace Lucky Casino.com to experience the game play and claim a fantastic deposit bonus welcome offer when you register! 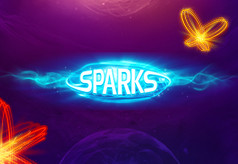 This Sparks slots game online and mobile slots game features 20 pay lines across 5 reels and some interesting in game bonuses to activate. This slot game is a different play to others and players will have a great time playing here at AceLuckyCasino.com, and with a free bonus ready to be claimed, join now! 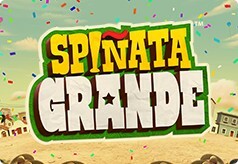 The Spinata Grande slots game includes 40 pay lines across 5 reels, colossal symbols and a fantastic free spins bonus which players will find an exciting play all round. This award-winning online slots machine has some great exclusive game features like extra big symbols on the reel and an in-game fruit machine free spins bonus feature which you have probably not seen before. This superb Starburst slots game features 10 pay lines across 5 reels, and a fantastic in game starburst casino wilds feature that makes this game a fun, exciting play all round. Why not try your luck playing our superb Starburst slot game online right here now! Our scintillating Steam Tower slots game features 15 pay lines over 5 reels, in game wilds and a free spins bonus round with multipliers to trigger during reel spins. Experience all of the fun to be had with the Steam Tower slots game and try your luck with the spin of the reels now! Stickers slots game features 20 pay lines over 5 reels, on reel wilds and an excellent sticky spins feature that makes this a fantastic game choice all round to play here at our site. Register now at AceLuckyCasino.com and try your luck with the spin of the reels and claim your free deposit bonus offer to add extra funds to your player account now! The Subtopia online slots game features 20 pay lines across 5 reels, in game reel wilds, scatters and a free spins bonus round with multipliers to activate during play. Register now here at AceLuckyCasino.com to claim your free 200 deposit bonus offer as a new slots player and start spinning the reels of this top slots game today! Theme Park Tickets of Fortune is a superb online slots game choice with 25 pay lines over 5 reels. This online slots game has a variety of excellent, entertaining game features and is an all round highly recommended slots game to play online. Register here now to enjoy the very best new online slot games and you may also be able to claim a free deposit welcome bonus to get started spinning the reels with now! Tornado Farm Escape slot is a game which features 20 pay lines over 5 reels and some very entertaining bonus rounds that will have players making one of their favourite game styles to play. 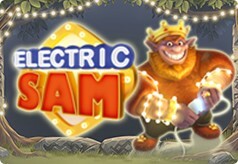 Join us here at AceLuckyCasino.com now to claim a free new player deposit bonus and spin the reels of this exciting, fun slot game now! 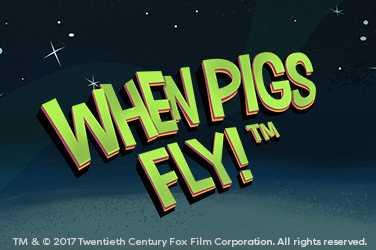 Our When Pigs Fly slot machine includes up 3215 ways to win, in game wilds and a free spins bonus round which will entertain players while spinning the reels of this top rated slot game here on our new online casino and new mobile casino site. Register now and join Ace Lucky Casino to claim your free casino slots bonus offer to add to your account and enjoy over 300 fantastic new online slots games and mobile slots games here now.